The Nuclear Institute as the professional membership body and learned society of the Nuclear Industry is committed to advancing understanding of nuclear science and technology. To support this objective we have created a number of Special Interest Groups (SIGs), composed of leading experts and other interested parties to focus on key topics in nuclear. Please view the SIG pages to understand more about what we are doing and how you can get involved. 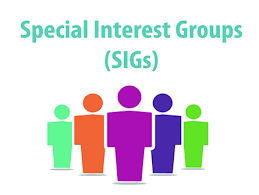 Each special interest group (SIG) is a community with a shared common interest in advancing knowledge sharing, developing good practice and practical industrial application. It exists to support the professional development of our members, and to encourage working together to produce solutions to industry-specific problems. SIGs provide an opportunity for practitioners and related professionals to connect to advance their knowledge, learning, expertise and thought leadership in support of their Continuing Professional Development. What do you get from joining a SIG? If you are interested in joining please make contact directly with the SiG via email. Please include your contact details, a brief overview of your expertise, experience and interest level. Anyone can join a special interest group, membership is open to all Nuclear Institute members whether as active part of a steering group, corresponding member or an active reader. Each SIG is conducted under the terms of the Chatham House Rules. For practical purposes and to ensure that all can benefit from the SIGs, it may be necessary to restrict membership of the Steering Group to those that are most active or have specific contributions of value to the development of the topic. For this reason, we advise that each member is not involved in more than two SIGs at a time.